IWC is a reputable wristwatch manufacturer with good sales. When it comes to IWC, IWC Portugieser Chronograph watch and Portugieser Automatic 7-Days watch occur to our minds. But, I’m going to introduce IWC movements instead of IWC wristwatches. As we all know, the movement determines the value of a watch, and the more advanced the movement is, the more valuable the wristwatch is. IWC watches all have nice appearances, and IWC has kept trying its best to develop in-house movements to break away from supply movements. 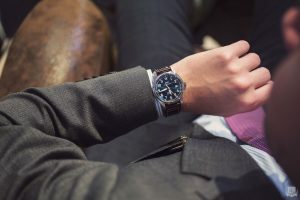 After all IWC has been fallen behind Rolex, Omega, Panerai on the development of self-made movements. 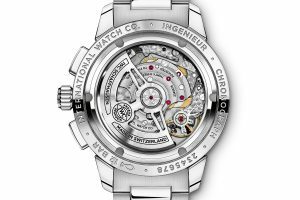 IWC has made clear that it owns 60% in-house movements, and the rest comes from ETA and Sellita. What’s more, the two companies produce universal movements according to the demands of IWC, even the accuracy of these movements reaches up to 0/+7 error. From the in-house movement project and the new-built watchmaking factory, we know that more and more self-made movements will come out. The existing movements of IWC include Cal. 30XXX, Cal. 35XXX, Cal. 51XXX,Cal. 52XXX, Cal. 59XXX, Cal. 69XXX, Cal. 75XXX,Cal. 79XXX, Cal. 80XXX, Cal. 89XXX, Cal. 94XXX, Cal. 98XXX. The models are based on ETA movements. Cal. 30110 and cal. 30120 left, and they’re based on ETA 2892-A2. 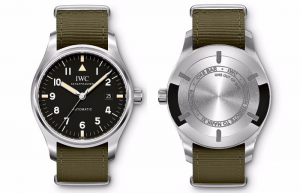 IWC Pilot’s watch Mark XVIII is usually equipped with Cal. 30110. The Aquatimer Family watch limited edition is equipped with cal. 30120. IWC often uses Cal. 35XXX based on Sellita SW300-1. IWC Cal. 35111 is equivalent to ETA 2892. Models with three central hands of the Portofino Family, Da Vinci Family, Ingenieur Family and Pilot’s Watches are equipped with cal. 35111. Cal. 35750 moon phase is uesd in the Portofino Family. Cal. 35700 GMT Day & night is used in the Portofino GMT watch. IWC Purtugieser Chronograph watch is equipped with the IWC movement based on ETA 7750. IWC repolished ETA 7750 well. To this day, IWC Portugieser Grande Complication watch Ref. IW377601 limited of 250 pieces is sold for $ 283,000 USD. It is cal. 79091. The basic model cal. 79320 applies to the Pilot’s watches, the Aquatimer Family. The upgraded version cal. 79420 was added to split second chronograph parts on the basis of ETA 7750. The Portugieser Chronograph watch with cal. 79350, a simple edition is one of the most popular Portugieser Chronograph watches. The only Cal. 75320 with three sub-dials and calendar display left to be used in Portofino Family. The above is that all basic supply movements of IWC. IWC has developed in-house basic movements to replace some of supply movements gradually since 2016. Cal. 69XXX includes two versions, cal. 69370 and cal. 69375. Cal. 69370, 33 jewels, 46 hours of power reserve, self-winding chronograph movement with date introduced in 2016. It features an automatic pawl winding system. 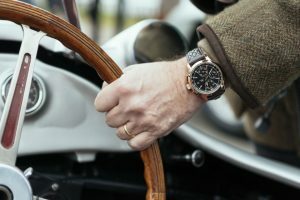 IWC Ingenieur Family W125 with Cal. 69370 is limited to 750 pieces. Cal. 69375 applies to the Ingenieur Family. The Portugieser Chronograph collection and the Pilot’s Chronograph watches will be equipped with Cal. 69375 in future.